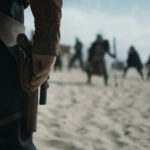 Tobias Beckett, mentor to Han Solo, and antihero of Solo: A Star Wars Story is front and center in the new comic Star Wars: Beckett #1. Beckett and his crew, Val and Rio Durant, are out to make a big score by stealing blank identity chips. With the Empire tightening their hold on the trade routes, blank identity chips have become priceless. The story starts off with a con in play. Rio is trying to get himself out of trouble from a card game on Hovun IV. Rio owes money, but Beckett enters as a death priest, and frightens the locals into leaving. During the panic that Beckett incites, Val uses the chaos in the bar to plant a tracker on their target, Dvorad. They track Dvorad to the ocean where a fight breaks out, with dominance switching between the sides often. Beckett proves he is a man of action and though he and his crew leave victorious, the scheming begins before they leave the planet surface. Beckett is wondering if they should steal some of the blank ID chips from their employer Dryden Vos, the head of Crescent Dawn. The idea is vetoed by the rest of the crew, and off to the rendezvous they go. Dryden Vos is not there to meet the trio. Instead, Beckett’s nemesis Enfys Nest has tricked him. Having been duped by Nest, Beckett make a tough decision that affects his crew, but also denies his arch enemy the prize. 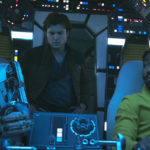 I loved Solo: A Star Wars Story, because it gave me exactly what I wanted; a young Han Solo and Chewbacca. We got to see how they formed their friendship and got a taste of some of the adventures the two had, before their fateful meeting at Mos Eisley. In Star Wars: Beckett #1, we get to see more of the mentor that would help Han Solo become the smuggler to be. We know a lot about Tobias Beckett from the movie. He is the guy who constantly says to never trust anyone. For a small moment, the audience is almost convinced that he is a decent guy. He’s not, and with Star Wars: Beckett #1 we get a chance to see the swagger and bluster of a con man, before he got desperate. In this comic, Tobias Beckett is among friends, with Val and Rio. You can tell between their interactions that they are a unit, a family, and whatever mischief one gets into, they are all into it. 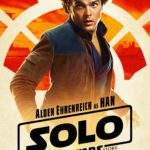 The comic allows readers, and Star Wars fans, a chance to explore the life of the newest and best break out star from the movies. 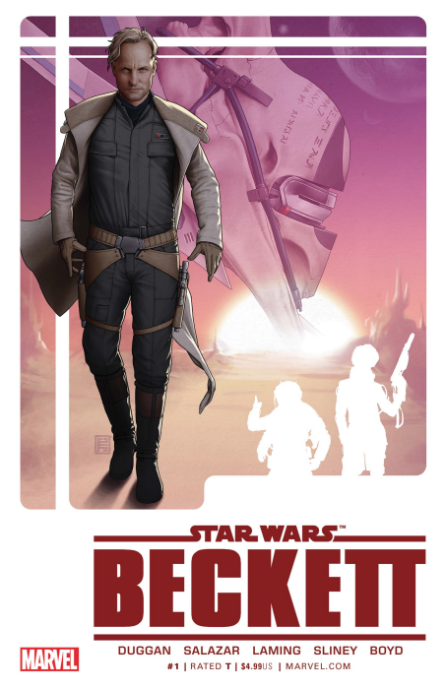 Tobias Beckett is a criminal, and Star Wars: Beckett #1 shows how much of a swindler and scoundrel he is. From playing on the superstitions of the locals on Hovun IV to attracting a sea monster in the battle for the ID chips, Beckett will do anything to get the job done. He has no second thoughts about shooting someone if necessary. I liked how the story was split up into three chapters, and that each chapter carried on from the last. This first issue of the series could have had three separate stories, and thankfully that didn’t happen. Sometimes comics are better in one narrative. Star Wars is a vast universe with multiple characters and stories to tell. One of the many reasons I appreciate and love to read Marvel comics is that they connect to many of my favorite movies and allow me to explore the characters I enjoy on the silver screen in greater detail on the comic page. Gerry Duggan has written a very enjoyable comic that fleshes out the character that Woody Harrelson brought to the screen and provides more story time for characters like Val and Rio, who didn’t get enough screen time, and backstory in the movie. I enjoyed this comic and look forward to more stories about the early days of Beckett and his crew. I would rate Star Wars: Beckett #1 3 Millennium Falcons out of 4. We get more dialogue between Val, Rio, and Beckett, a greater appreciation for the emotional toll the loss of these two would have had on Beckett in the movie, but it would have been great to see this comic set up a large story that would have dominated the comic series, rather than just another heist story.